Ocean Cleanser: This was the first Osea product I tried, and surprisingly, it wasn’t love at first sight… or use. I’d found the lactic acid content in it too strong for my skin at the start, but my skin adjusted to it and it no longer stings! In fact, it has become one of my most-used cleansers, and I have come to love how it gently exfoliates as it cleanses the skin. This non-foaming cleanser has a good slip, and it doesn’t leave a residue unlike a number of other green cream cleansers on the market. It doesn’t remove heavy makeup or sunscreen, so I tend to use it either as a morning cleanser or after an oil/balm cleanser in the evenings. Osea have two other cleansers, and I am curious to try them to see how they compare to this one. Hyaluronic Sea Serum: This is my standout product from Osea so far! This clear green serum contains three molecular weights of hyaluronic acid, along with organic seaweed, to boost the skin’s hydration levels. I’ve tried a number of hyaluronic serums, including overpriced options from brands like Dr. Barbara Sturm, and despite costing just a fraction of the price, Hyaluronic Sea Serum outperforms them all. This serum is super concentrated, and you only need the tiniest amount to hydrate the skin. It’s almost like a refreshing glass of water for your skin. I love using it under oils and creams to keep my skin soft and hydrated. Highly recommend this product, if you’re looking for a hydrating product that doesn’t feel sticky or oily. Sea Minerals Mist: In addition to looking amazing, this bright green quenching mist contains seaweed, Dead Sea salt, aloe and mineral peptides to refresh and plump up the skin. Within a short period of time, this has become one of my go-to mists to use under serums and oils. The pump dispenses a fine mist, making it a great option for setting makeup or refreshing the skin during the day. It has a mild ocean-like scent that I find very soothing. Essential Hydrating Oil: This macadamia, sesame seed and jojoba based oil feels much lighter than it sounds. It instantly absorbs into the skin, leaving it soft and hydrated. I love using it over the Sea Minerals Mist and Hyaluronic Sea Serum to lock in moisture. The combination of lavender, citrus and rosewood gives it a spa-like scent that I find very relaxing. Atmosphere Protection Cream: It’s hard to find green moisturisers that feel as luxurious as their mainstream counterparts, but this unassuming little product delivers. The cream is light yet dense, and it thoroughly nourishes all skin types, without leaving any residue. It layers well with other Osea products, and I use it both am and pm. Undaria Body Polish: This was part of the Beauty Heroes discovery, and it really is the best body exfoliating product I’ve used so far. Unlike most body scrubs, the texture of this polish doesn’t feel oily or greasy. Its gentle blend of pumice, açai and guarana powders exfoliates the skin without scratching it. It rinses off clean and leaves behind a soft, lavender-scented veil of moisture. Final Thoughts: Osea products are a great gateway brand for someone who is just making the switch to green beauty because their products are as easy-to-use and effective as their mainstream counterparts. 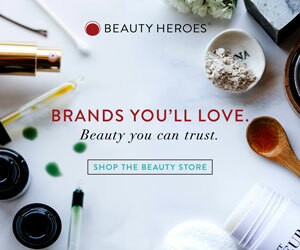 That, however, doesn’t imply that a seasoned green beauty addict won’t love it: it’s the perfect antidote to all the heavy oils and balms that are oh-so-ubiquitous in the green beauty world. © 2018 JustAskArjun. All opinions/views are my own. I accept press samples for review consideration, however, all products are treated with the same level of scrutiny. This post contains NO affiliate links. What a great review, I’ve been really interested in their products since my beauty heroes box, I’m looking forward to using the products soon. Thanks for the review! What do you think of using hyaluronic sea serum under Ayuna cream (I have its light version)?